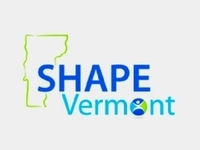 School Leader/ head coach registering a school must be current member of SHAPE VT. Extra volunteers/coaches who accompany the teams do not need to be SHAPE VT members. Each team must have one adult volunteer for each accompanying team. If your school sends three teams, you must also send three coaches/volunteers. Roster names must be inputted at time of registration. All rosters changes should be sent to Competition Director Chris Shackett as soon as they happen. The latest a roster change can be made is no later than noon of Tuesday April 30, 2019." Awards: Certificates for all participants. Certificates to top individuals and teams. Event questions? Please contact Competition Coordinator Chris Shackett at​ ​msfitnesscompvt@gmail.com for more information. PAYMENT IS BY CREDIT CARD (through the registration website), or CHECK payable to "SHAPE-VT." Payment should be submitted ahead of time. On-site payment is by cash or check only. No school POs will be accepted. Teams registration must be paid at time of competition. Person registering teams will receive an invoice by e-mail with a balance (which may be $ 0.00). Use this for payment for your reimbursement from your school. Teachers must provide invoices to their own school business offices, they will not be mailed by SHAPE-VT to your schools. Please note: if an athlete's name is not registered here they will not get a QR Code Badge, thus disqualifying them from the Mile Run portion of the day. All rosters changes need to be sent to Competition Director Chris Shackett as soon as they happen. The latest a roster change can be made is no later than noon of Tuesday April 30, 2019.